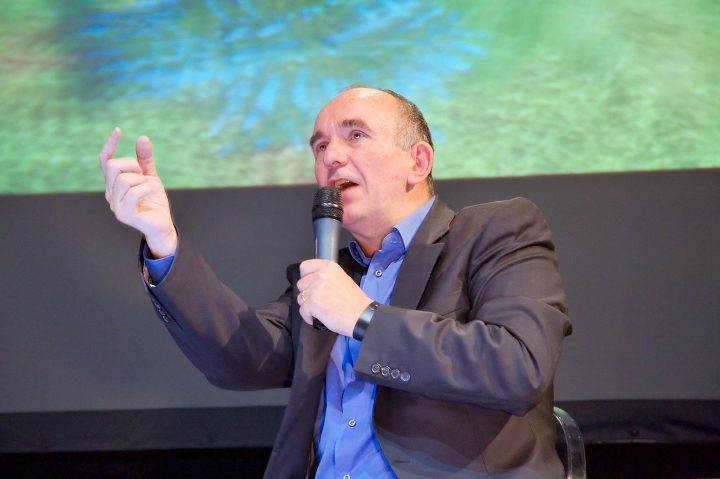 Many video game fans were shocked when legendary designer Peter Molyneux announced in a tweet that he was quitting the video game industry. After all, Molyneux is one of the world’s best known video game personalities, and was behind classic games like Populous, Dungeon Keeper, Black & White and the more recent Godus. But it turned out that the veteran English video game designer wasn’t retiring after all, and that the fake messages were posted by hackers who had taken control of his account, as Molyneux explained in a more recent tweet. And this is clearly a good thing for the video game industry, as there’s no doubt that Molyneux is behind some of the most original and innovative games ever made. His 80’s classic Populous was the first computer god game, and let players act as a god, unleashing natural disasters like earthquakes and other calamities on enemy deities’ followers. Other Molyneux games like 1997’s Dungeon Keeper were just as creative, giving players the task of building and running a dungeon, populating it with monsters and fending off groups of heroes looking to raid it for its treasures. And there’s little doubt that getting to play evil in Dungeon Keeper was one of the most memorable gaming experiences of the late 90’s. Fable II was one of the best games to come out on the Xbox 360. But it can be argued that the high point of Molyneux’s career came in 2008, when his outfit Lionhead Studios released the seminal Fable II. This was certainly one of the top exclusives released for Microsoft’s Xbox 360 console, and one of the best fantasy role-playing games made to date. Fable II had great choice and consequence gameplay, even letting players decide over the fate of entire towns, and addictive combat which featured modern weapons like guns with more traditional medieval fantasy gear like swords and armour. But even if Fable II was a hit with gamers, Molyneux has been criticized for overhyping his games, as the original Fable did not ship with all the features the designer promised. And his earlier game Black & White, which was another god game in the vein of his earlier Populous, was even named the most overrated game of all time by gaming website GameSpy in 2003. But still, Peter Molyneux and his 22Cans studio are now working on the PC version of his Godus video game, which aims to capture the magic of his early classics like Populous. And even if the game’s mobile version has been criticized for looking and playing more like Game of War than Populous, it was a fun little game that proves that Molyneux can still come up with engaging and creative ideas, and it is clear that the video game industry will be a better place if the veteran designer keeps doing this well into the future.